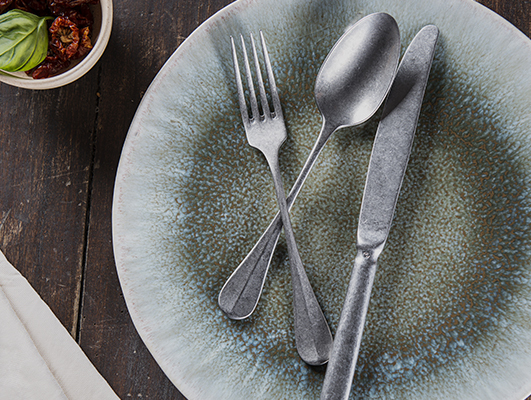 "To invite people to dine with us is to make ourselves responsible for their wellbeing for as long as they are under our roofs"
The newest addition to the La Tavola flatware family is Rétro, the key to designing a tabletop ambience with a touch of retro style that is warm and inviting for guests. 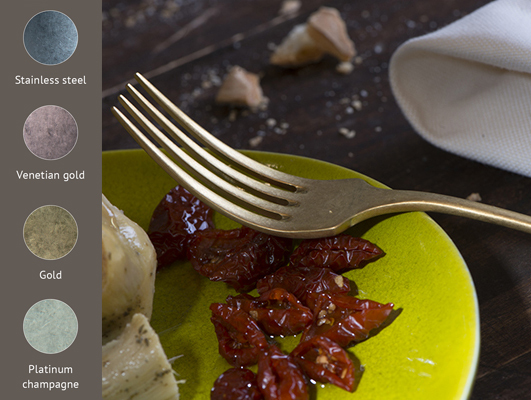 With its stonewashed finish, the contrast between the texture and the effect marries perfectly with the diverse nuances of modern pocelain, allowing you to create a tablescape that combines the old with the new. Are you interested in Rétro collection?